? ‘Starter’ pack: The ‘eliza’ module is a start, but we could really use some good, simple, polished examples. - Decent, simple, but new art. Preferably with as few autotile rules as possible, to make addition easy at first. Baby steps. Should come with convenient built-in functions. - Starting guides. Not ‘how to make new content’, but how to add to existing content.
? Object Level Instance Editor: We can edit the objects, but we can’t give an existing object in a level a new event. We have to go into a big ugly text file for that.
? Import: It might be nice if we could import into our project assets from elsewhere on the computer. Say, if I’ve got a sound file over in C:/My Sounds/Fire.wav, the importer would copy it to ~modules/module/sounds/Fire.wav and put a sound controller in the level to play it. Or something like that. - Ideas: The new object wizard could be split into a new enemy wizard (basically, what we have now) and a new simple object wizard. - The simple object would import the image from elsewhere, make a new object, and set the tool to place it. It wouldn’t do anything, but it would be very straightforward. This would lead, naturally, into using the object editor to spruce it up. The object editor could use some reference, on that note, it’s a bit hard to discover new functions at the moment? but I digress. 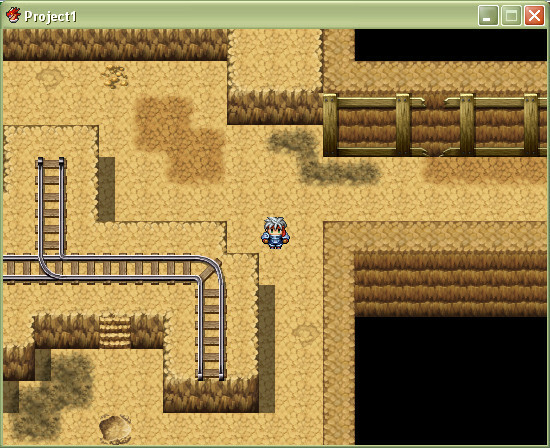 Anyway, I’m going to do a short study of RPG maker tomorrow, as it has quite a nice learning curve. Expect screenshots and ranty text. OK, so I’ve started up RPG Maker (30-day free trial) for the first time, and, after getting the thing running and selecting ‘new project’, I am presented with the following screen. Funnily enough, you can’t edit this level without the ground disappearing, and Frogatto repeatedly falling to his death. Not a good start. In addition, the ‘new module’ screen doesn’t work. So, lets look at the good bits of a first-run RPG Maker experience. It would seem I am at sea. 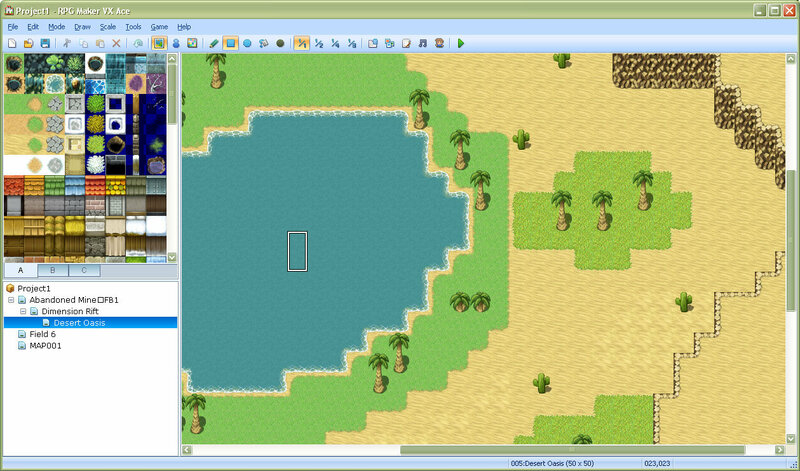 Naturally, to the left of the editor, I see some land tiles. Clicking on those and placing them is easy as pie, and now we can walk around. Nice autotiles are nice. Unfortunate, they are also rather hard to extend yourself, so we should probably stick to simple 3? mtps, max. I think we do need mtps in the ‘demo’ stuff, as it’s a bit of a feature. Since RPG Maker uses mtps quite heavily, it also has a hotkey to disable the computation of the patterns. I think our approach is better. Anyway, moving on. I opened up one of the hundred-odd demo levels. It looks nice. They all do. 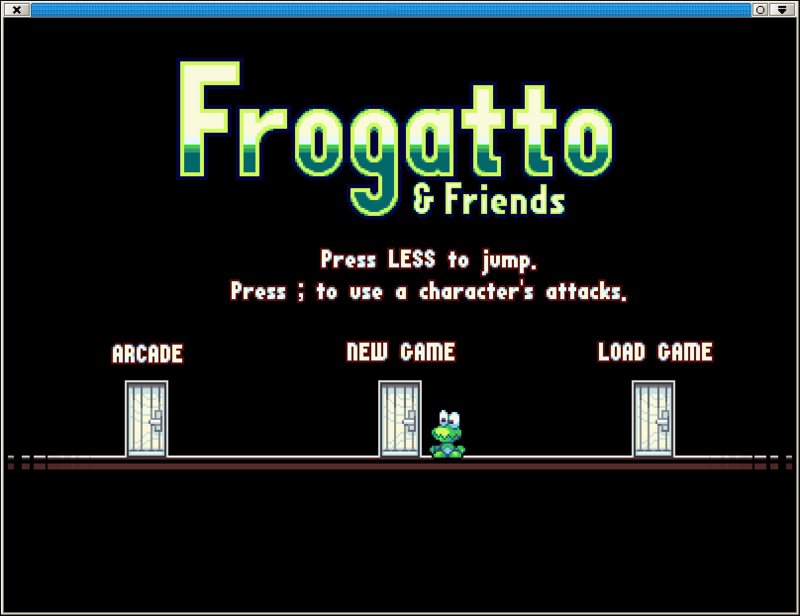 After some additional fiddling around, I figured out how to add a player to the level. It’s all very discoverable, because things are laid out in menus and buttons and such. Any need to do content creation is actually put off for quite a while, because RPG Maker ships with an incredible amount of assets. You can, literally, make a fully-featured RPG, complete with monster battles, characters, story, maps – without actually having to draw anything, record anything, calculate anything. Indeed, almost without having to read anything to teach you how to do it. 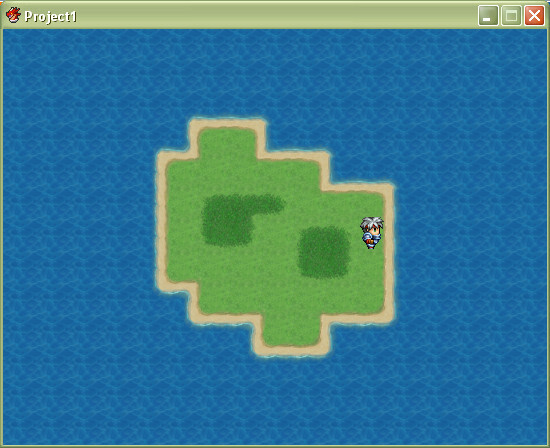 So, that is the map-making part of RPG Maker. 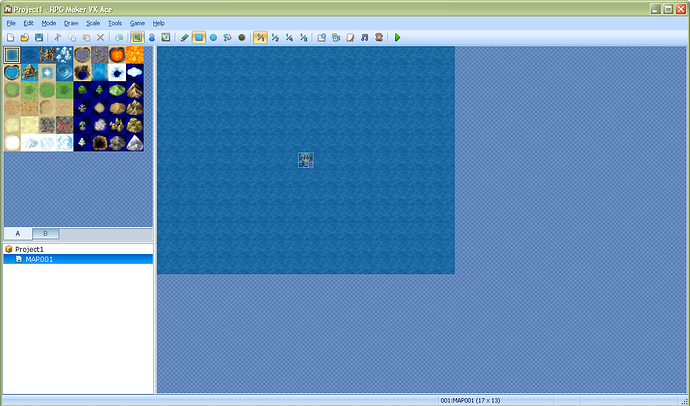 The tile editor is pretty nice, although it seems to only utilize about 3-5 layers compared to our ‘dozens’. The big thing is that you are rarely faced with empty screen. The first map has a player and ocean on it (an immediate call to an obvious action), while the premade maps all come with appropriate backgrounds. Everything is pretty simple, but it sort of has leads to more complex behaviour like scripting. This is the key magic to it, I think. It is very motivating to have something that looks good, right off the bat, that you can work on and make and play with. The two big themes RPG maker has to it’s credit is 1) initial approachability and 2) easy discoverability of features. 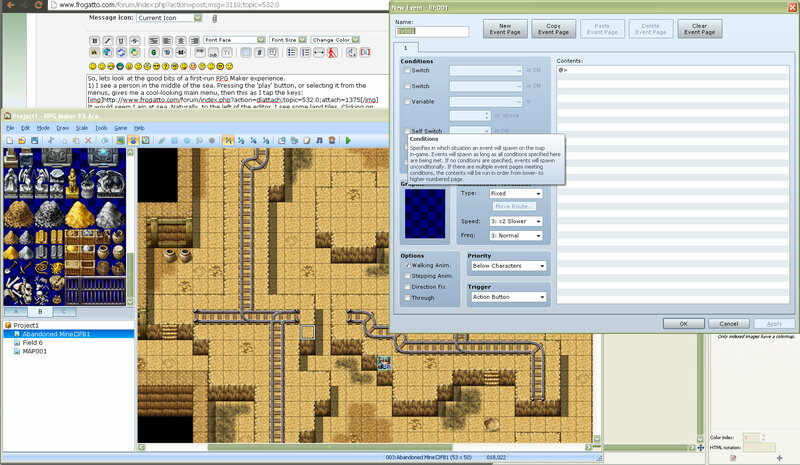 For a full overview of RPG Maker, there are tutorials, with screenshots, at http://www.rpgmakerweb.com/support/tutorial/rpg-maker-vx-ace.